The puppies just outnumbered the second season runners in the final eight with five puppies represented including a Derby semi-finalist, quarter-finalist and a Corn na File winner. Derby quarter-finalist Kyle Bruce was the first on the card having got the better of Shyan Jonboy, kennelmate Kyle Fionn (after a coin toss), and Whatdoyoufancy on Friday and Saturday. His opponent Woodpark Alonso was improving with each run and causing a few upsets along the way. He beat Viva Bobbyjo, Fingal Master and Power of Peace on the way to his quarter final. The second quarter was hotly contested and included not only the Irish Cup favourite, Needham Work, but Champion Stakes winner Blueview Charlie and numerous other National Meeting qualifiers. Needham Work reached the quarter-finals with victory over Floating Patriot, kennelmate Needham Simple and Blazing Music after a buckle, Blazing Music having upset Blueview Charlie in the first round. Kyle Roger was his quarter final opponent after success over Lineroad Amigo, Tynwald Ash and Broadwell James. Corn na File winner Serene Angel made his way to the Irish Cup quarter-final after beating Galbally Echo, Brownes Kitchen and District Twelve. His first All-Age opponent was waiting in the shape of Maker of Rules. A winner over Corriga Rebel, Skellig Sunlight and Fingal Billy, impressing on the clock on each occasion. The last quarter final was made up of the Gerry Holian trained pair of Blades of Hope and Crushers Oak. Both impressive on the clock in each round. Blades of Hope got the better of Bedford Banker, Dale Pinnochio and Duarigle Mystic in a field which was suiting the Derby semi-finalist. 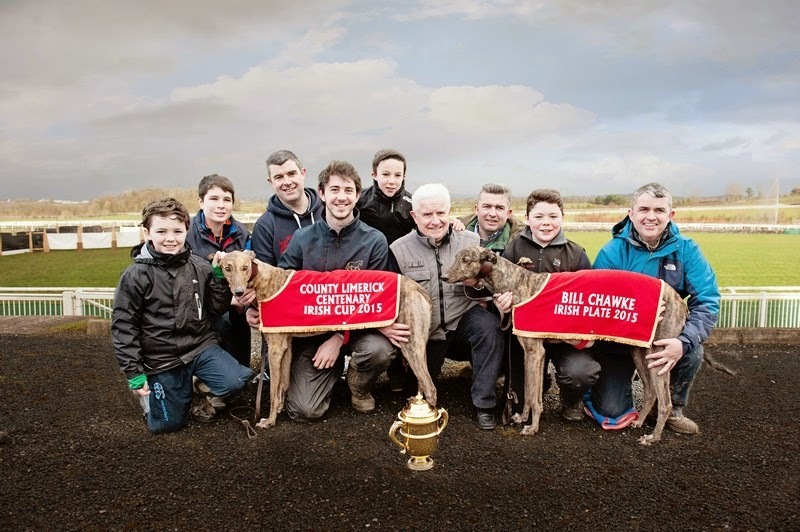 Crushers had set up a kennel quarter final with his wins over Downtown James, With Grim Intent and Sheeraghs Lad. Kyle Bruce landed the first quarter final with a minimum of fuss, lining his hare well he was always in command of the buckle with Woodpark Alonso. The clock of 12.51 suggested the ground was much heavier than the previous two days. Needham Work denied the Field family the chance of having two runners in the semi-finals. Kyle Roger led early in the course but Needham Work had already drawn alongside at halfway and went on to win in impressive fashion. A clock of 12.51 suggesting there was little between the two runners. Maker of Rules was a somewhat unlucky loser in the third quarter. Leading at halfway the Gerry Holian trained runner went unsighted handing Serene Angel the advantage which he took good care of to book a semi-final spot. The final quarter was won in fine style by Derby semi-finalist Blades of Hope. 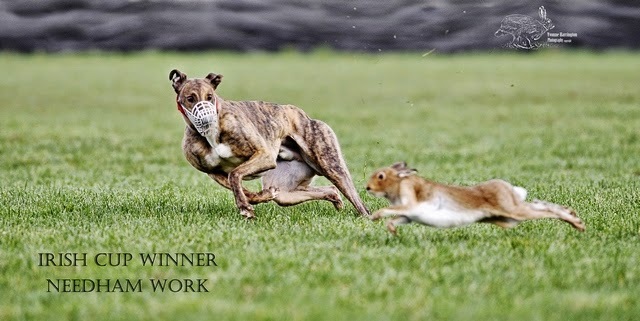 Blasting from slips, he gave his kennelmate Crushers Oak little chance of getting back into it with a polished display. Reversing the early season trial stake form from Nenagh. Betting heading into the semi-finals saw 6/4 joint favourites Needham Work and Blades of Hope. Kyle Bruce was available at 2/1 while Corn na Feile winner, Serene Angel was the 4/1 outsider of four. It was thought before the first semi-final that Kyle Bruce would have to have built up a lead by halfway if he was to be successful, but he could not shake off Needham Work in the early stages. The latter proved too strong in the end and pulled away to win by some two lengths booking his Irish Cup final ticket. Again showing how strong he is in the latter stages of his courses, he really looked the part entering the final. 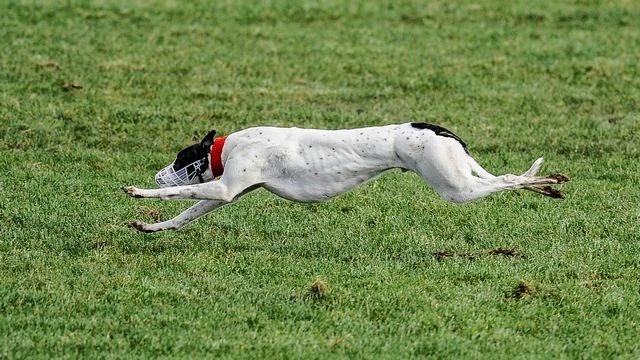 The second semi-final was an all puppy affair and it was the Derby semi-finalist Blades of Hope who got the better of Corn na Feile winner Serene Angel. Much to the delight of his supporters he was always in command and enjoyed a three length victory at the turn. A Derby semi-finalist and now an Irish Cup finalist giving connections quite the time of it. The 2015 Irish Cup final saw Needham Work head to slips as a warm order favourite at 1/3. Blades of Hope his opponent was available at 7/4. The favourite however left connections with nothing to worry about. Seemingly putting his lack of early pace behind him, he came off slips alongside Blades of Hope. It was over in a matter of strides as the middle pace told and Needham scorched away to win in the second half of the course. [Drawing]Needham Work's change of gear from halfway up the Greenmount stretch was enough to bring another Irish Cup back to the Newry kennels of Brendan Matthew's; trainer of three of the last six winners. Behind early in most of his courses Needham Work was really impressive when reaching top gear. 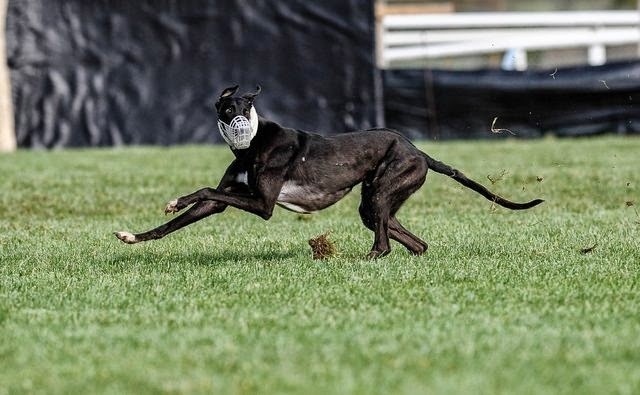 Getting stronger each time he was placed in slips, the brindle son of Bexhill Eoin and Gadget Girl remains unbeaten for the season and joins his sister Needham Marie as a Classic winner. The winner was bred, owned, trained and nominated by Brendan Matthews.